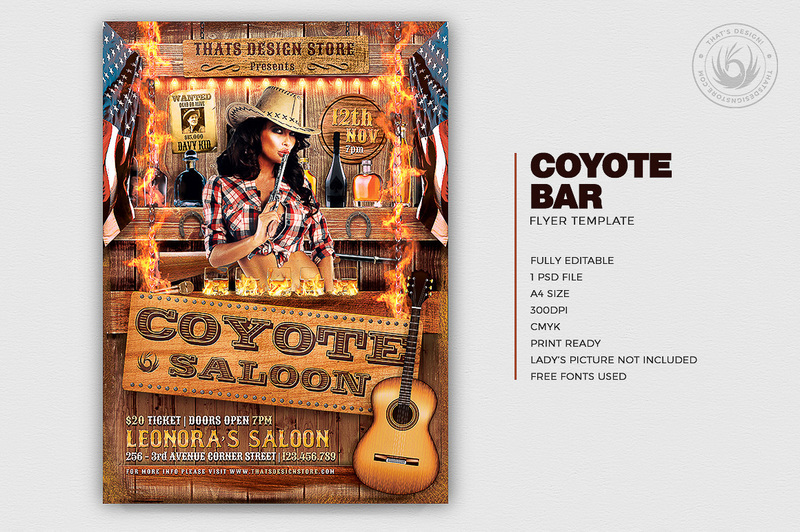 The Wanted Poster on the Background is also editable via Smart Object. 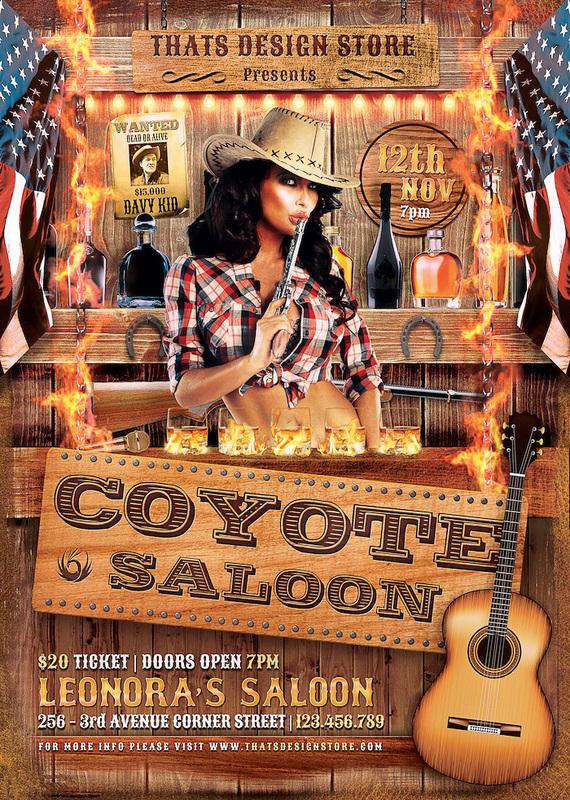 Saloon Coyote Bar Flyer Template / Western Flyer Template was designed to promote a Coyote Party, a Rodeo Game, a Country Night or a Western event. 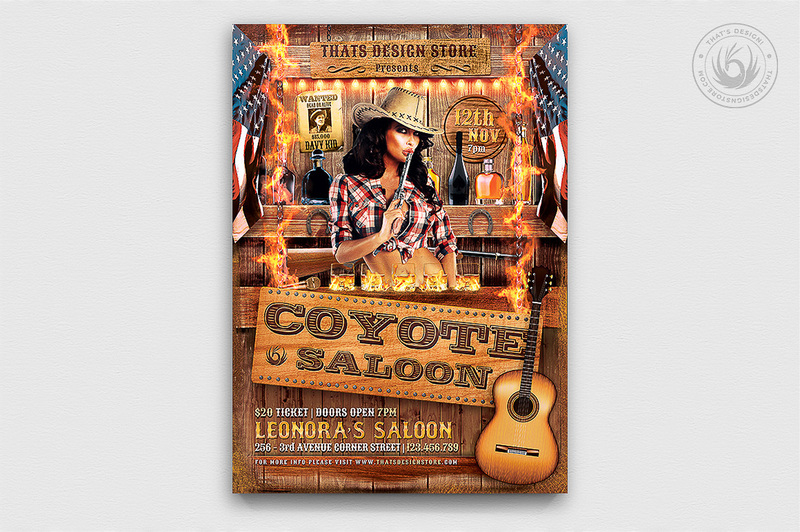 Customize your Photoshop psd Western flyer template easily. Included in our famous Massive Bundle 300 Flyers.